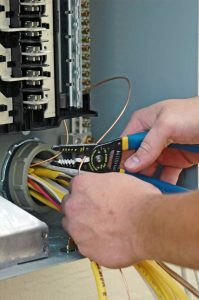 Prudent homeowners are always keeping an eye on the bottom line, and nowhere is that more apparent than with electrical use. Electricity powers vital appliances in the home, including most heating systems in some form or another. When you add that to things like holiday lights, elaborate meal preparations, and the annual spectacles of holiday parades, bowl games, and movie marathons on TV, the electric bill can add up to quite a bit. You can help your own cause by following a few friendly tips that will cut down on your monthly costs, as well as easing the strain on many of your home’s most important appliances. You may be practicing some of these tips already, but the more you can add to your routine, the better off your bottom line will be. Be sure to bookmark the Bruno Air Conditioning blog for updates on the latest advances in plumbing and HVAC technology. Call Bruno Air Conditioning for all your HVAC, plumbing, electrical, and commercial needs.